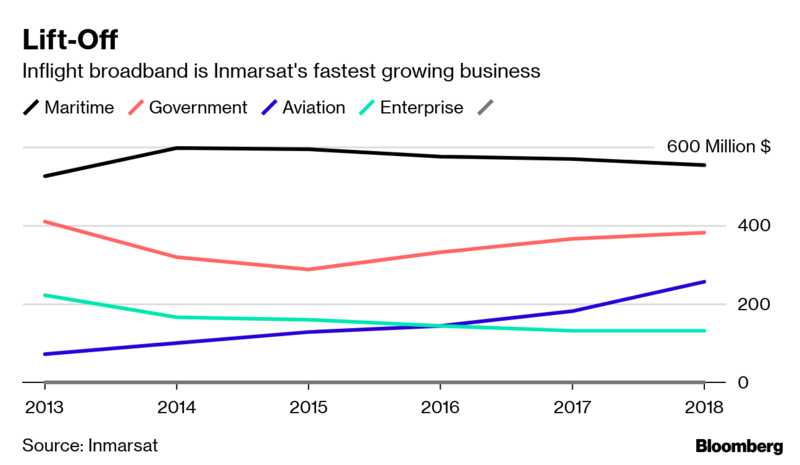 A group of private equity firms and pension funds agreed to buy Inmarsat Plc for US$3.4 billion in a bet on the U.K.-based satellite operator’s growing inflight broadband business. 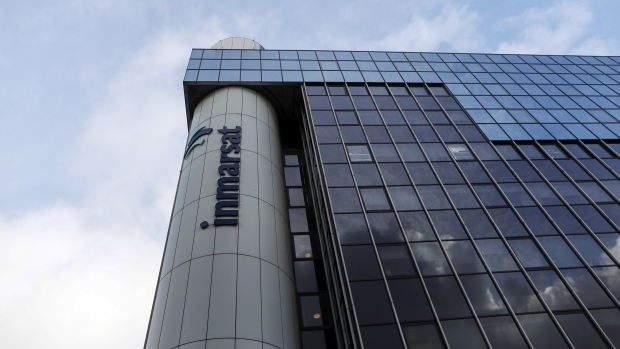 Inmarsat shares rose more than 8 per cent. Talks began in late January as the London-based company faces growing competition from traditional rivals such as ViaSat Inc. and new challengers including Richard Branson-backed OneWeb and Elon Musk’s SpaceX offering smaller, cheaper satellites. The bidders -- Apax Fund, Warburg Pincus Fund, Canada Pension Plan Investment Board and Ontario Teachers’ Pension Plan Board -- were drawn to the “considerable potential for in-flight connectivity and the internet of things,” they said in a statement. London-based Inmarsat has pinned its hopes on selling faster, more reliable internet services to the world’s airlines. Better signal-receiving technology makes it a rapid growth area, and several competitors are vying for the prize. The deal comprises US$7.09 cash for each Inmarsat share plus a previously announced final dividend for a total bid value of US$7.21, or 546 pence, per share. Inmarsat shares were up 8.5 per cent at 549 pence as of 9:47 a.m. in London. The price is slightly higher than an unsuccessful cash-and-equity approach last July from billionaire Charlie Ergen’s EchoStar Corp. French rival Eutelsat Communications SA also weighed an offer before backing off. The new bidders made their offer via a joint-venture company owned in equal shares. Echostar’s overture failed to win over Inmarsat’s board mainly because it was made up of a lot of B shares with reduced voting rights, said Inmarsat’s Chief Executive Officer Rupert Pearce in an interview Monday. He said he didn’t expect regulators to throw up significant hurdles to the takeover, given the buyers’ experience with U.S. national security regulators and commitment to keeping the company’s headquarters in the U.K. The bid is 46 per cent above Inmarsat’s stock price on Jan. 30, the day before the non-binding proposal was made. Echostar or another investor could still weigh in with a rival offer under U.K. takeover rules. The consortium’s offer already has the support of one top investor -- Lansdowne Partners, which own 11.4 per cent of the company, the statement said. Lansdowne has held Inmarsat stock for at least a decade, so their endorsement is “a very encouraging sign that the offer is at the right kind of value for shareholders,” said Pearce. Remaining investors will get a say on the deal at the company’s general meeting, which is not yet scheduled but is due before May 31. Apax was part of a consortium of investors that bought Inmarsat in 2003 and took it public two years later - a history that helped Inmarsat’s board take this latest offer seriously, Pearce added.